Andrew Grose, a native of Sheboygan, Wisconsin, has been named valedictorian of the 2018 University of Notre Dame graduating class and will present the valedictory address during the 173rd University Commencement Ceremony on May 20 (Sunday) at Notre Dame Stadium. A member of the Glynn Family Honors Program, Grose was an early inductee into the Notre Dame chapter of Phi Beta Kappa Honor Society. He holds a 3.997 overall grade point average (GPA), and will earn a Bachelor of Science degree in preprofessional studies with a major in Spanish. He plans to return to Notre Dame to pursue a Master of Arts in Iberian and Latin American studies. 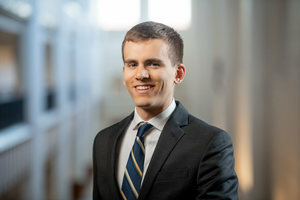 Following this program, he plans to work as a physician in the global public health setting, with a focus on underserved rural communities in both the U.S. and Central America. Through the Notre Dame Center for Social Concerns’ International Summer Service Learning Program, Grose spent the summer of 2017 in El Salvador where he worked for the nongovernmental organization Libras de Amor (Pounds of Love) in a number of different areas, including child development and community health. He spent the summer of 2016 in Toledo, Spain, studying Spanish history and film. He completed his senior thesis work through the Department of Romance Languages and the Glynn Family Honors Program, where he studied the work of Salvadoran poet Roque Dalton. The April 2018 recipient of the Jose Tito Siguenza Award for Service to Hispanic Youth, he also won the James T. DiNardo Award as outstanding junior science preprofessional student in January 2017, and was recently named the recipient of the Department of Preprofessional Studies’ Samuel J. Chmell, M.D., Award, which is given annually to a student who demonstrates a high level of academic achievement, exemplary character and integrity. A four-year member of the Dean’s List, Grose was also a four-year member of the Notre Dame Marching Band drumline and this year won the Director’s Award for outstanding senior band member. He was also a mentor in the band’s Bandlink program, an outreach effort to teach music to South Bend-area school-aged children; a tutor with Crece Conmigo, an after-school program at La Casa de Amistad, a South Bend Latino community center; and a volunteer at Ronald McDonald House Charities of Michiana. Grose also participated in the percussion ensemble and Notre Dame Liturgical Choir. This year’s salutatorian is Granger native and Penn High School graduate Harisa Spahić, a biochemistry major with a 4.0 GPA. She will graduate with minors in anthropology and science, technology and values. 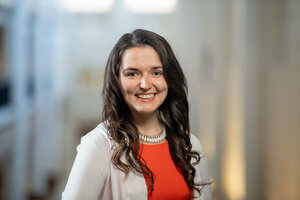 Also an early inductee into Phi Beta Kappa Honor Society, she was recently awarded the 2018 Daniel and Anne Crossen Pre-Medical Student Award from the Office of Preprofessional Studies, which recognizes academic excellence, responsible leadership, exemplary behavior and professional awareness toward the healing arts. She plans to attend Johns Hopkins School of Medicine in the fall. As the salutatorian, Spahić will offer the Commencement invocation and will be prepared to deliver a valedictory address should the valedictorian be unable to do so. A Marshall Scholar finalist, she was a four-year Dean’s List member who conducted undergraduate research in two laboratories on campus, including the Cancer Neurocognitive Translational Research Lab, where she was the head undergraduate research assistant for two years, and the Clark research lab, where she studied protein folding in E. coli cells. 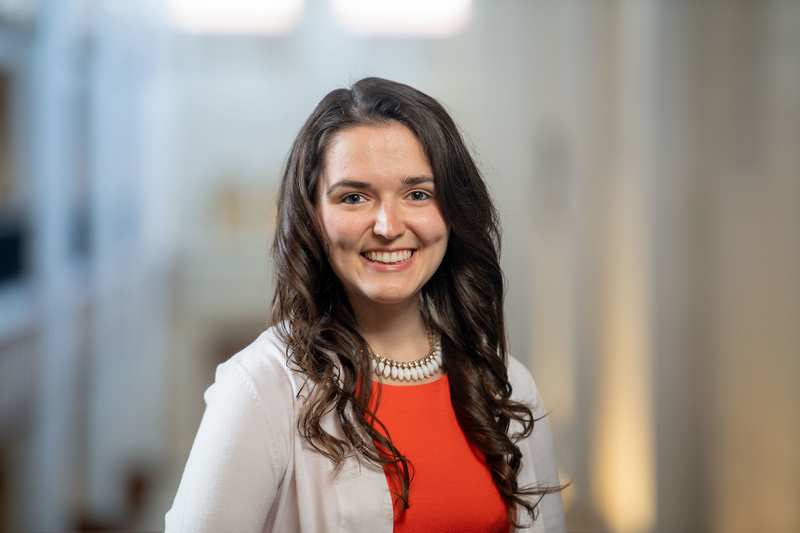 Heavily involved in service while at Notre Dame, she held a leadership role within the University’s Habitat for Humanity student group and volunteered with the Social Justice in American Medicine Club, the Timmy Global Health Notre Dame chapter, the Center for Hospice Care and others. Also while at Notre Dame, Spahić worked as a physics lab teaching assistant, high school and college tutor, chemistry/biochemistry mentor, a student recruitment coordinator and campus tour guide. The Notre Dame valedictorian and salutatorian selection process begins by identifying the top three students in each college or school with the highest grade point averages. Those students then complete an application process that includes letters of recommendation from a faculty member and a draft of their Commencement speech. A selection committee chooses finalists who are approved by the University president. Originally published by Sue Lister at news.nd.edu on May 03, 2018.